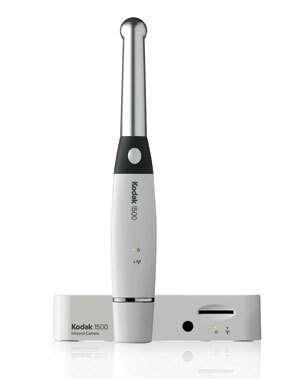 An intraoral camera is an indispensable diagnostic and educational tool. The tiny device is a video camera that moves around inside the mouth and generates a tooth by tooth video exam of the mouth. These images can be stored, enlarged and even printed. As it is nearly impossible to see inside your own mouth, intraoral cameras provide a previously unseen view. The pen-sized camera features a disposable cover to prevent contamination and is completely painless to use! As the camera moves around in your mouth, it sends video images to a computing unit where the images are enlarged and transmitted to a television screen. With the images produced by the intraoral camera, patients can see each of their teeth and dentists can educate patients on problems such as broken teeth, defective crowns and fillings and even tooth decay.